A journey of hope "...risking life and limb in search of a better, and safer, life." 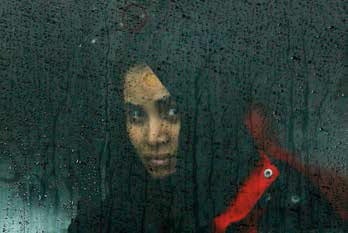 Having spent more than a decade closely documenting the plight of asylum seekers in the central Mediterranean, photojournalist Darrin Zammit Lupi leapt at the opportunity to cover the story in Greece, Macedonia, Serbia and Croatia for the Jesuit Refugee Service earlier this year. He shares his experiences here. 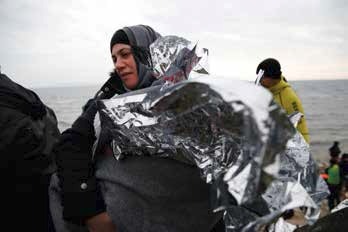 Biting cold air envelopes the small army of NGO volunteers coming from all over Europe on the rocky foreshore, close to the airport outside Mytilene, on the Greek island of Lesbos. The volunteers are on the frontline of the migration crisis in the Aegean, looking towards the mountains that line the western shore of Turkey. They are searching for a glimpse of yet another boat of asylum seekers, risking life and limb in search of a better, and safer, life. It's part of a well-established routine now. Every morning, before dawn, the volunteers gather with their vehicles at various spots along the eastern coast, waiting for the inevitable arrivals. Reports come in that, in the past hour, four boats on their way to our approximate location have been intercepted by the Greek coast guard. They are now being towed to safety, after they appeared to be in danger of foundering because of overloading. Only one rubber dinghy is expected, spotted through high-powered binoculars. As the boat reaches the shallows, several volunteers in wetsuits wade into the water and take hold of it from all sides, to ensure it remains stable and there is no last-minute capsizing with potentially disastrous consequences.